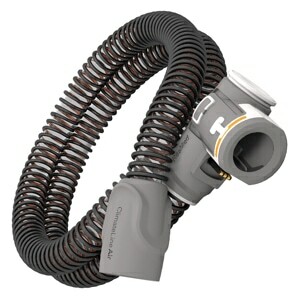 Many CPAP users find that one of the most annoying parts of therapy is the constant presence of the cold, ugly, medical tubing that connects the user's system to the mask or interface. In addition cold hoses and tubing can cause condensation and rain-out disrupting sleep and therapy. ResMed's soft Tubing Wrap padded fabric CPAP hose covers improve comfort during sleep and help prevent rain-out by lightlly insulating CPAP hoses and tubes. The Tubing Wrap's hidden soft-touch zipper extends along the length of the tube so it is exceptionally secure and easy to put on and take off with no unecessary stretching or sliding. Tubing Wraps are easy to clean and come in stylish Royal Blue so you can hide unsightly medical tubing beneath a comfortable soft fabric cover. 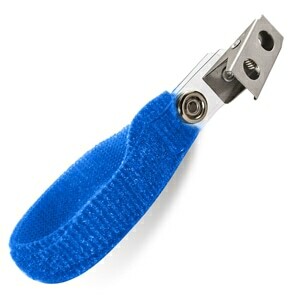 USAGE: This tubing wrap is designed for ResMed's 2-Meter tubing. Depending on the exact length of your CPAP tube it may need to be stretched slightly to properly fit the ResMed Tubing Wrap. When cold weather comes we keep the house around 65 degrees at night. In the past, this has resulted in the air coming thru my CPAP tubing being rather chilly, giving me a cold nose in the morning. Since I received this tube wrap to insulate the tubing, it keeps the air going thru the tube warmer and no more cold nose in the morning. I haven't used it long enough to be able to say for certain there won't be "rain out", but I am not expecting a problem, since the air coming thru the tube is kept warm enough so it won't produce condensation. I should have puchased the other one thT looked softer but I thought this one looked like it was better made. There is little difference in having this on as to not having it on. It's still plastic. 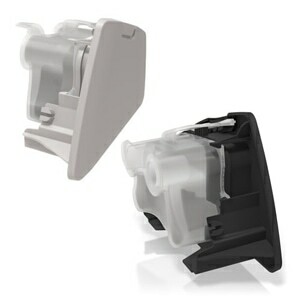 I have one of the larger heated hoses for my resmed s9 and already ordered another cover that was too small. this cover fit perfectly, had about 1.5" left over but no problem to curl back when attaching the hose. no more noisy grating sound when preparing for bed, no more slippery sliding off bed in night, great feel to it. I am very pleased and wish I had done this sooner. This hose cover was exactly what I was looking for. I found others online where you had to thread the cover over the hose. What a pain! This one is so much easier to use since it has a zipper for the length of the hose. It also solved a problem I was having, in that I had to have the hose temperature higher than I wanted in order to prevent rainout. With this hose cover, I can set the hose temperature to whatever I want and not have to worry about that. Sweet! This cover does not fit my 6-ft hose as it should for the cost. I have too much length and cannot squeeze it down and completely zip it up. No instructions. Good soution for a sore nose. I was looking for a heated hose for my CPCP machine, but couldn't find one so I decided to try the blue tubing wrap. It works great. It is a bit long for my 6 foot hose, but I just zip it up as far as I can and the zipper stays in place with no problem. 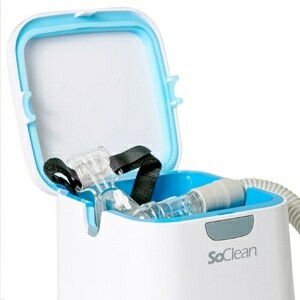 The air from my CPAP humidifer stays moist and no more little sprays of water of moisture around my nose. This is the first time I ordered from Direct Home Medical (also ordered a couple of other things). All the products I purchase were of good quality and they arrived quickly. this is a life saver.... thanks! Great new sleek wrap, hugs the hose so it is not constantly slipping as with other hose wraps. Only reason I gave it a 4 star instead of 5 star is that the zipper does not close over the end of hose connector. Other than that its a the best hose wrap I've ever owned. 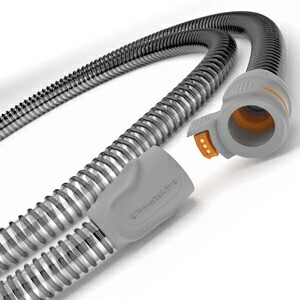 The ResMed hose cover keeps condensation out of my tubing, and is easy to remove for cleaning of the hose. It fits snugly on the hose. I really like the "chat" feature on the DHM website! Representatives have really helped me decide on purchases.